Unlike the super secrecy of Star Wars: Episode 7 or Marvel, Spectre has been surprisingly forthcoming, especially for a movie that's all about secrets. So far, in just a relatively short amount of filming time, we've had two video blogs updating with news the set and today we already have a Spectre poster. OK, it's not much of a teaser poster, but it certainly is James Bond-ish. He's looking suave and carrying a gun. Though, unlike the Casino Royale, Quantum of Solace or Skyfall posters, Daniel Craig's Bond isn't wearing a suit. Instead he's sporting a black turtleneck a la Roger Moore in Live and Let Die. 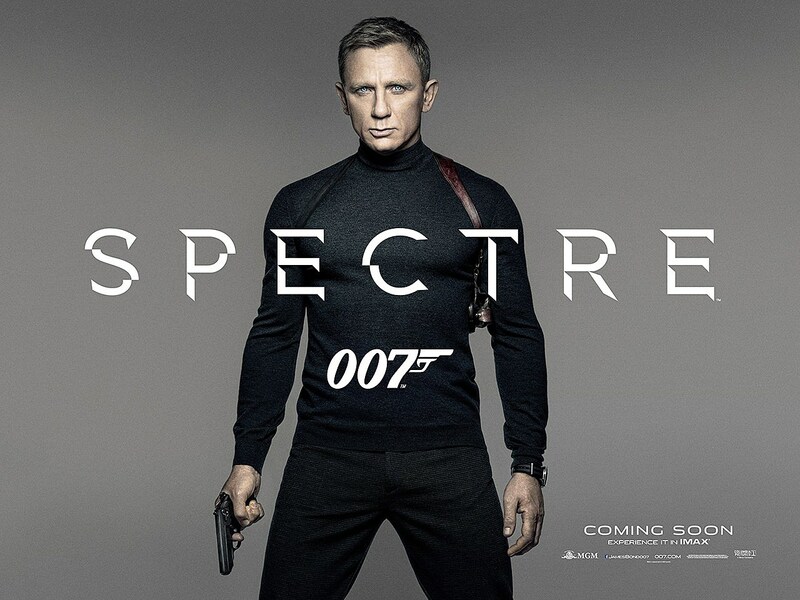 Does this mean a more informal and rugged 007 in this film? Maybe it's a tactical turtleneck?